David Skinner was the 2018 Summer Intern for the Gravitate team in Fayetteville, Arkansas, and is continuing to intern with the team during the fall semester. He is a senior at the University of Arkansas, where he is pursuing a B.S. in Computer Science. The first line of the company handbook states that “capSpire is genuine.” This is the best description of the company that I have found. As a summer intern, I have had a unique opportunity to come into this consultancy, see what it is like to solve difficult problems, and grow an insane amount in just three months. 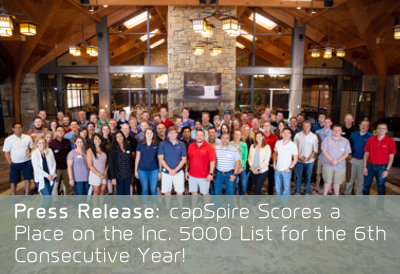 After working with the Gravitate team, three qualities about capSpire stand out to me: the culture, work environment, and growth potential. capSpire is genuine. I say it again because it is fundamental to understand about the company and the people I work with. Here, you are valued and invested in as an individual. This is a first-name-basis sort of company. The founders are Mike and Jeff. I sat 30 feet away from Jeff in the same room, and I was the intern. This company does not pride itself on company hierarchy, but on the merit of being an excellent CTRM consultancy with the motto “We believe there is a better way.” That’s not a joke. It is implicit in every business process and client interaction. Stemming from a healthy, positive company culture is a great work environment. No one expects you to live in the office. However, everyone expects you to be excellent and get the work that has been assigned to you done. (Novel, right?) The number of hours per week wasn’t always black and white, but I never found the time commitment to be unreasonable. On a different note, it can be intimidating to work for a consultancy when you have no experience, especially in a niche field such as the CTRM software space. Consultancies solve problems that inexperience, lack of talent, or both will not solve. In general, it can be difficult for interns to feel like they have a place in this type of company. However, at capSpire this was a short-lived feeling. My lack of understanding in frankly every area of software development—coming from a university setting—was continually supported and bolstered by the enormous pool of raw experience by which I was surrounded. This experience replaced my confusion with understanding and explanation more times than I could count. Through this onboarding and instruction, I learned a lot and was able to make real, meaningful contributions to the team. As the Gravitate intern, I have grown and progressed significantly as a software developer and as a problem solver in general. I have written Java (Android), Swift (iOS), C#, and the web stack doing both front-end and back-end development with a level spread. Imagine being thrown into the deep end of a pool and thinking you know how to swim, only to discover that you have no idea. I’ve also been exposed to enterprise software architecture, design patterns, data integrations, and data structures, and I’ve learned what it is like to develop software as a team. There is no classroom that can provide this. This type of learning is what internships are for. 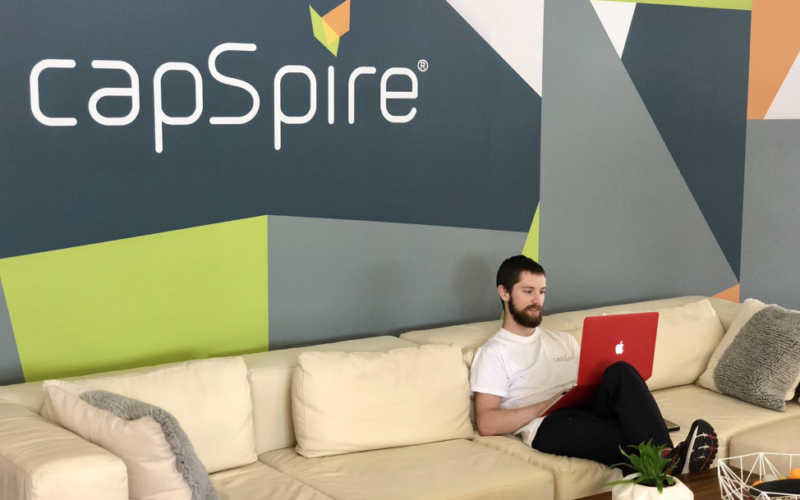 It’s clear that capSpire’s goal is for each intern across every team—whether software development, analytics, internal, or commodity consulting—to have opportunities for continual learning and growth in a direction of his or her choosing. They want interns to be excited about what they’re doing and where they’re headed in the early stages of their careers. As part of my internship, I was paired with an industry expert who served as a mentor in giving me work on beneficial projects and guiding me through each project. After my experience with the Gravitate team and capSpire in general, I can say that this was a successful internship. It was everything and much more than I expected it to be. Are you a university student in engineering, business, or computer science who wants to expand on your classroom knowledge and gain valuable, real-world experience? Do you want to discover what it’s like to work for a global software and technology consultancy? 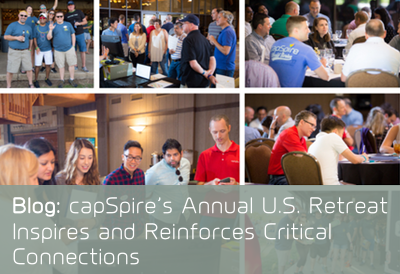 capSpire wants to meet you! To introduce yourself to us or find internship opportunities, please visit our careers pageor email info@capspire.com.